Your perfect manicure can be smudged if you haven't allowed sufficient time to dry. 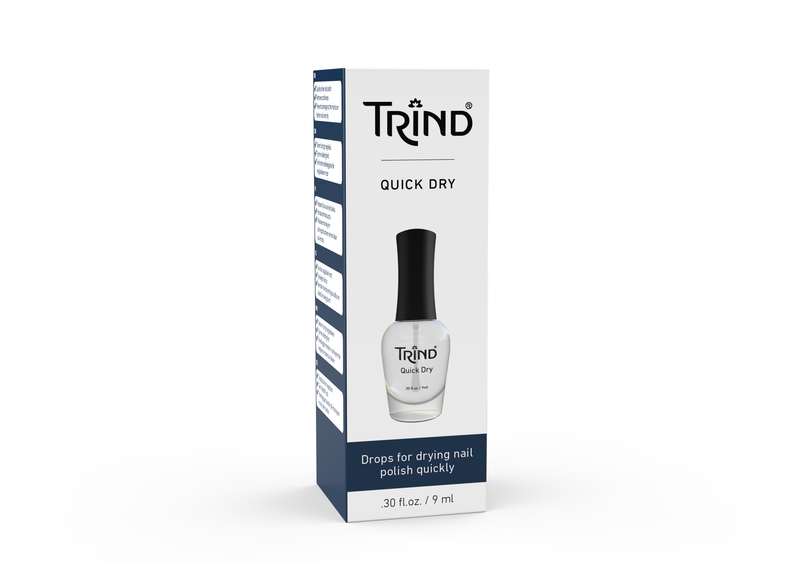 TRIND Quick Dry helps to prevent this. Perfect to use when in a hurry but still wanting flawless and beautifully lacquered nails. Apply 1 or 2 drops on your still wet nail polish. Wait until the layer feels completely dry. After use, clean the rim of the bottle.